The Oceano Community Services District opted not to put a special fire tax on the November ballot. At the June 27 meeting, General Manager Paavo Ogren said the district is committed to the Five Cities Fire Authority joint agreement for 2018-19 fiscal year, but the fate of the joint service beyond that is unknown. The proposed tax would have helped fund Oceano’s portion of the Fire Authority’s cost beyond its current two-year agreement. FUNDING SERVICES With only two years locked in with the Five Cities Fire Authority Oceano denies looking into a special fire tax. “The primary thing is the Five Cities Fire Authority negotiations and the county strategic planning efforts won’t be concluded until after November. The conventional wisdom is that if we go out for a tax election, it’s really important to show individuals in the community what the dollar amount is and what the services are that they are going to get, or what the alternatives are if the special tax measure doesn’t get approved by the voters,” he said. 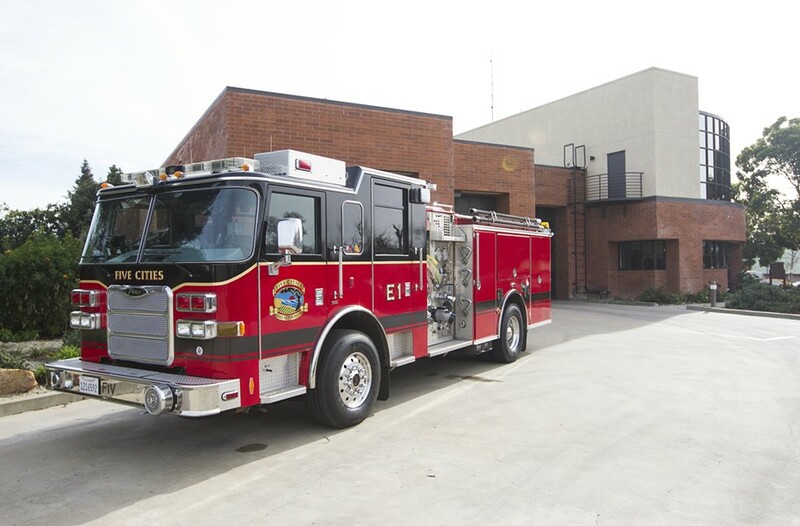 Ogren said the district would be hard-pressed to give definite answers, but he said that Oceano will not be able to fund its portion for the Fire Authority in the projected five-year strategic plan that the authority created. Oceano CSD board of directors President Karen White told New Times that the district just doesn’t know enough yet to make a decision, but the community has secured fire services until it has more information. “Until we can narrow it down, we have in the budget funding for the fire department—it’s a little tight on our budget, but it’s there,” White said. In 2010, Oceano, Arroyo Grande, and Grover Beach adopted the joint fire service. The three communities recently agreed to work on amending the joint powers agreement to negotiate its future terms. According to the agreement for the 2018-19 fiscal year, Arroyo Grande will pay $2.5 million, Grover Beach will contribute $1.8 million, and Oceano will put forth $987,362. The communities have until April 1, 2019, to unanimously agree on efforts to amend the joint powers agreement. The current agreement ends on Dec. 31, 2019.